SPRING is almost here and it’s the most beautiful time of year for photos! 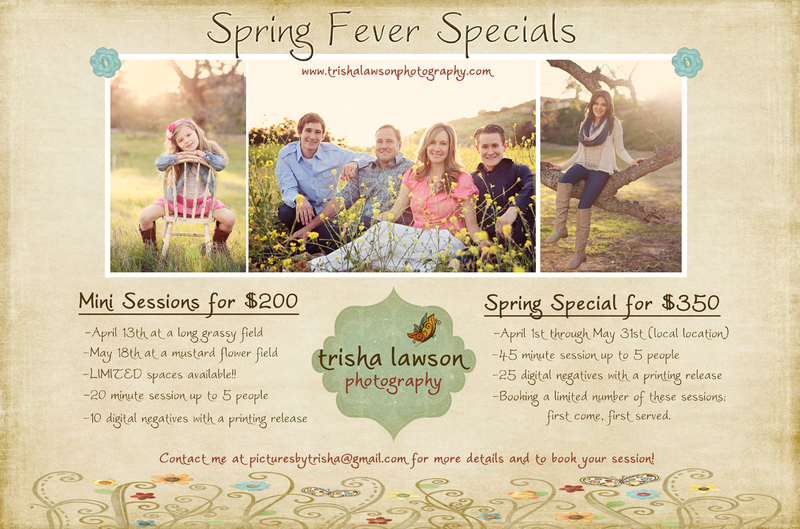 The blooming mustard flower fields, long flowing grass, warm sunshine…a perfect setting for some amazing photos! Don’t miss out on this these great deals, book yours now! LIMITED SPACES AVAILABLE! A $100 deposit is required to secure your spot…first come, first served.